Serving a life prison term, as Rick Wershe is doing, is hard time. But Wershe knows there are people on the outside who are going through hard times, too. For several years Rick has organized a holiday food drive for the needy. He hopes people who support him will support his food drive, which is through a well-known food-for-the-needy charity and his former church. Sadly, he worries his critics will accuse him of posturing for his own self-interest. This is a topic Rick Wershe hopes the media doesn’t write about. It is Wershe’s holiday charity work. Many people who have heard about Rick Wershe’s ordeal have asked how they can help. Supporting his holiday food drive is one easy and immediate way to help him. More on how to get involved later. Rick with a painting he did in prsion. It was donated for an auction for the Susan G. Komen cancer foundation. For several years Rick Wershe has tried to organize a holiday food drive for the needy. Why wouldn’t he want credit for this in news stories? “I don’t want people to think I’m having you write about it so I look good,” Wershe wrote in an email to me last week. It is a sad, twisted truth that Wershe has critics who say he is only trying to help people so he will look good to the parole board. He can’t win with these people. Pardon me, but what do you think all those virtuous charity-givers on the outside are doing? What are church do-gooders doing? What are the wealthy with their thousand-dollars-a-ticket charity balls doing? What are untold numbers of politicians doing when they roll up their sleeves (when the media cameras are on) at some charity event? Rick Wershe has tried in recent years, as best he can from a prison cell, to help people around the holidays. When he was in the federal Witness Security program (after he helped the FBI prosecute drug-corrupted cops) he and some other inmates gathered donations and passed them along to needy kids in Florida, where he was then incarcerated. He has continued the holiday giving drive as a prisoner in Michigan. Wershe recalls reading a newspaper story about a woman with cancer whose kids were going to have a bleak holiday. Rick Wershe asked his late father to find the woman and take her kids shopping for some holiday treasures. He did. On another occasion Rick Wershe read about a family facing tough times and living in a motel in the 8 Mile and Woodward area of Detroit. Wershe arranged for a friend to go to the motel and pay for a week’s lodging for that family. 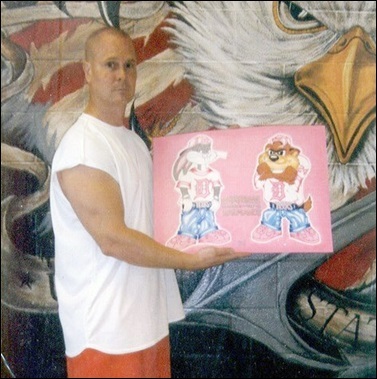 There are limits to what Rick Wershe can do from prison. That’s why some of his friends try to organize legitimate food donations in his name. Wershe tries to be the catalyst for a few good deeds on the outside. “To me that demonstrates he has redeemed himself on the positive side,” says Robert Aguirre, a former member of the Michigan Parole Board who is very familiar with the Rick Wershe story. When he was on the parole board Aguirre researched the Wershe case and tried in vain to interest the rest of the board in granting him parole. Rick’s lifelong friend Dave Majkowski has worked hard to ensure this holiday food drive is legit—on the up and up. The last thing Rick Wershe needs is to somehow get involved in a phony charity scheme. Details of the Rick Wershe holiday food drive can be found on the Free Richard Wershe Jr. Facebook page. "We're partnering with Gleaners Community Food Bank of Southeast Michigan and Emmanuel Lutheran Church to provide meals to needy families in Rick's old east side neighborhood," Majkowski writes. "We have set up a PayPal account for the charity turkey drive." A link to the PayPal account for Rick’s holiday food drive is on the Free Richard Wershe, Jr. Facebook page. If money is tight but you can help Rick’s holiday food drive in some other way, you can contact Pamela Dickerson at Emmanuel Lutheran Church. The phone number is: 313-492-2961. For those who are eager to help Rick Wershe in some way, this is it. Five bucks, ten, twenty, whatever you can afford. It’s immediate, it’s worthwhile, it’s legit and it helps Rick feel good that he is trying to help someone else during the holiday season.